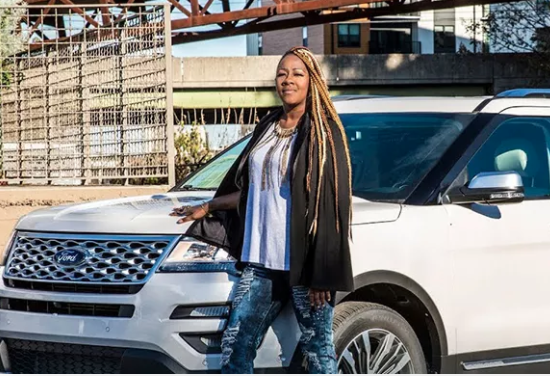 GRAMMY® and Stellar Award-winning artist Le’Andria Johnson is celebrating love, music, family and fans in a promotion this holiday season on a Ford Music campaign with Mid-South Ford Dealers. Running now until December 31st, 2017, the campaign features the beloved vocal powerhouse in a new video sharing her journey in what inspires her to go further, highlighting her hit song “All I Got,” and an amazing sweepstakes promotion for fans in the region. Empowering others with an uplifting message of love as a source of strength to go further, and highlighting the song’s chorus “Your Love is All I Got,” Le’Andria talks about her family, start in music, and fans, proclaiming love and gratitude to her fans and family for their bond and inspiration.